This series of circuits provides designers with a quick source for amplifier circuits. Why waste time paging through huge encyclopedias when you can choose the topic you need and select any of the specialized circuits sorted by application? 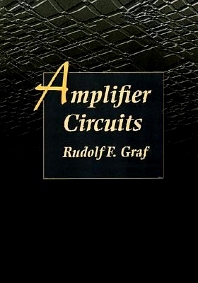 This book in the series has 250-300 practical, ready-to-use circuit designs, with schematics and brief explanations of circuit operation. The original source for each circuit is listed in an appendix, making it easy to obtain additional information. Graduate Electronics Engineer. Received his MBA at New York University. He is a senior member of the IEEE, a licensed amateur radio operator, and holder of a first-class radiotelephone operator's license. He currently lives in New York.